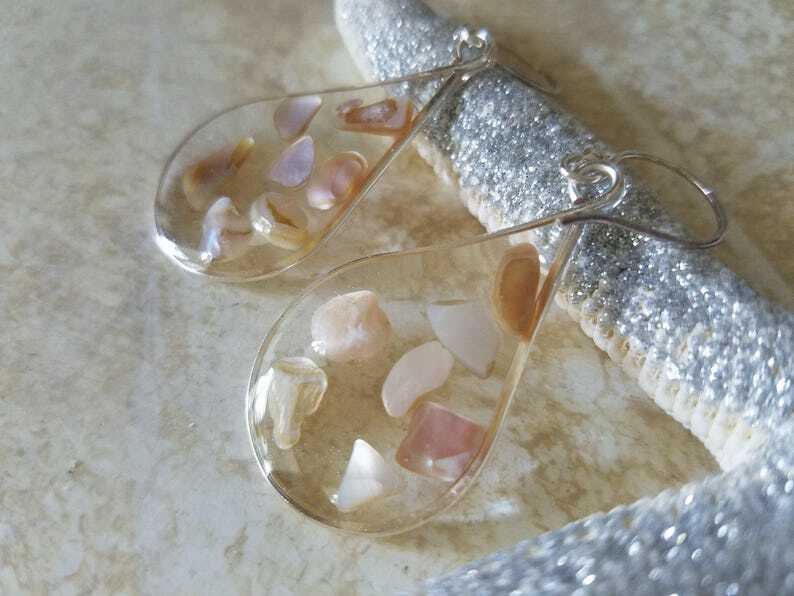 These beautiful teardrop earrings contain tiny pieces of mother of pearl shells that are permanently sealed with clear resin. I love the clear look. The wire bezel is silver filled. The fancy ball earwires are fine silver hand formed.